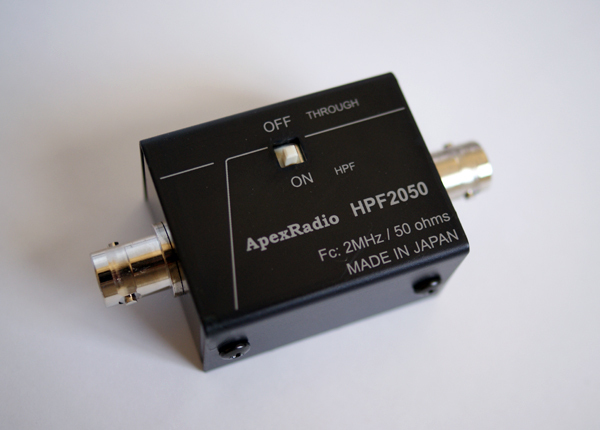 The HPF2050 is a high pass filter especially designed for serious shortwave listeners. 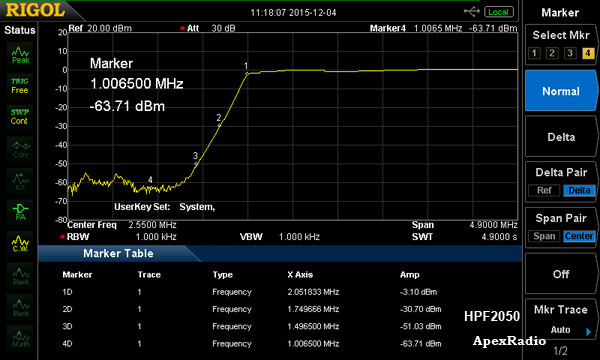 This filter improves the strong signal handling characteristics of portable receivers, scanning receivers, wideband receivers, and others. The addition of this high pass filter to the antenna's signal path provides additional selectivity which enables the receiver's circuitry to better cope with strong interfering signals that can leak into shortwave band. The HPF2050 provides additional selectivity to any receiver's front end by reducing a multitude of unwanted strong signals from reaching and saturating the receiver's first mixer stage. This results is less interference and improved reception.